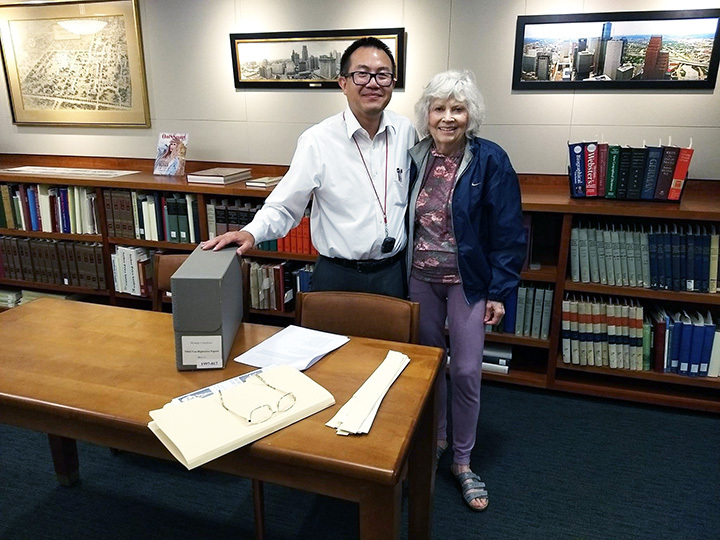 University of Houston Libraries Special Collections was honored to be visited by Nikki Van Hightower last month. In the course of her career Van Hightower has been Women’s Advocate for the City of Houston, moderator/commentator at KTRH, executive director of the Houston Area Women’s Center, and Harris County treasurer. She has held teaching positions at the University of Houston, Texas A&M University, Lee College, the University of Texas School of Public Health, and the New York Institute of Technology. She has been an outspoken activist in the women’s movement and a leading proponent of equality for women in the city of Houston. The Nikki Van Hightower Papers 1967 – 1997 are part of the Carey Shuart Women’s Research Collection at UH Special Collections. The collection documents the career of Van Hightower from the time of her appointment as women’s advocate up to and including her work as Harris County treasurer. It contains material dating from 1967 to 1997, with the bulk of the material dating from 1977 to 1989. Types of material within the collection include correspondence, memoranda, reports, studies, speeches, commentaries, press statements, publications, diaries, photographs and clippings. The University of Houston Libraries Digital Research Commons (DRC) invites members of the UH community to submit proposals by August 1 for sponsored projects to run for the academic year 2018-19. The DRC collaborates with researchers on projects involving digital techniques across the humanities, social sciences, and experimental sciences. The DRC is looking for teams or individuals, experts and novices alike, who have a project that they would like to develop. This can either be a project that is already underway or one not yet begun. Prior knowledge of digital tools and techniques is welcome, but it is not necessary. 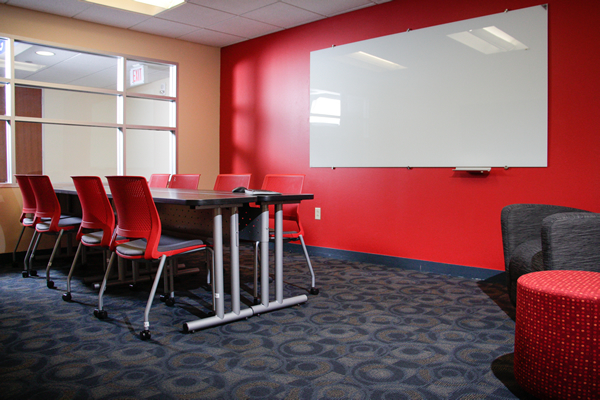 We work with our project teams to help them organize their information, analyze it, and produce compelling results. The DRC will help you craft your proposal and, if your project is accepted, will help find training for team members who need it. Submissions from faculty, graduate students, and postdoctoral fellows are encouraged. Accepted applicants will work with the DRC to build their projects into working prototypes. For more information, contact DRC director Claude Willan. What is the primary research question driving this project? What is the main contribution your project will make to scholarship? What do you intend to be the final product completed under this grant? If you are a graduate student, please include a statement about how this project aligns with your dissertation topic and research/writing schedule. Applicants are strongly encouraged to contact the DRC to discuss applications before submitting. The Technology Training program at University of Houston Libraries offers free instructor-led technology courses to UH students, staff and faculty, and alumni. Courses are offered year-round and are held in room 106-P on the first floor of MD Anderson Library. 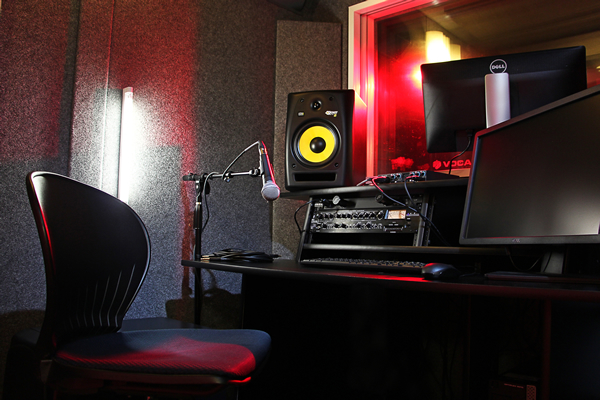 Over the past year, the Tech Training program has expanded by adding new topics to its roster. Courses are taught by four knowledgeable and friendly instructors. University of Houston Libraries provides a streaming video service to UH faculty and others who want to incorporate more digital scholarly resources in the curriculum. Kanopy is a streaming video resource offering a collection of over 21,000 documentaries and movies on a broad range of subjects, and from leading producers such as Criterion Collection, The Great Courses, New Day Films, HBO California Newsreel, and more. Kanopy makes it easy to watch, share and discuss videos both in and out of the classroom. The streaming video service offers greater flexibility in academics and research. Faculty have the option of embedding video links within Blackboard, and students benefit from the ability to access educational materials instantly from any location. To learn more about using Kanopy to deliver educational content, faculty and students may contact their subject librarian. The Domestic Crude digital collection is now available in the UH Digital Library. Students of the UH English department and the creative writing program were given the chance to run the publication, putting out calls for submissions and serving as student editors. 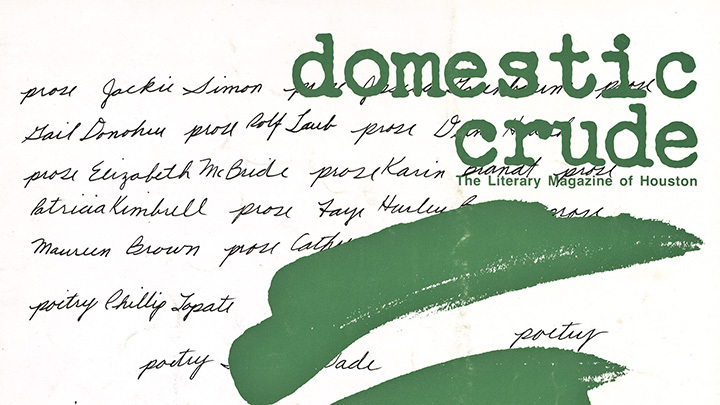 Featuring submissions of poetry, short prose, and visual art, Domestic Crude provides an interesting look at the early output of the UH creative writing program and the evolution of the literary community in Houston. The journal was superseded by Gulf Coast: A Journal of Literature and Fine Arts in 1986. The original materials are available in UH Libraries Special Collections. The University of Houston Libraries Copyright team has published an article in the Journal of Copyright in Education and Librarianship. Stephanie Lewin-Lane, Nora Dethloff, Julie Grob, Adam Townes, and Ashley Lierman co-wrote “The Search for a Service Model of Copyright Best Practices in Academic Libraries” which presents the impetus and results of the team’s two studies on copyright best practices and peer institutions’ copyright policies; and discusses a proposed copyright services building tool, the LiCoSI Matrix. 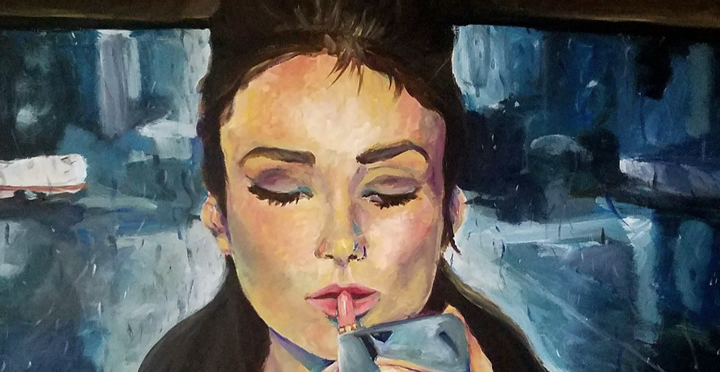 The William R. Jenkins Architecture and Art Library is pleased to present Channels of Thought by student artist Jackelyn Raquel Cordova, on view through July 2018. The exhibit is free and open to the public. Final Moments 2015 by Jackelyn Raquel Cordova. Acrylic on canvas. Cordova is an undergraduate student in Painting at the University of Houston. She works primarily in acrylic and oil but also has an interest digital painting. Cordova was born and raised in the Houston area and takes influence from her family’s Mexican and European heritage. Her paintings have been shown in Houston and at numerous shows at the University. As she continues her work, she is looking towards MFA programs to advance both her experience and practice. As a child, I was always interested in the act of storytelling. I enjoyed listening and watching how people’s faces would change as the tale went on. I wasn’t entirely sure why it intrigued me, but I had recognized that people’s faces held stories behind them. This interest in faces led to my paintings being focused mostly on portraiture for several years. It was during my admittance into the Painting Block Program at the University of Houston that I was able to dig deeper into why portraiture interested me and it resulted in my paintings taking a new direction that explored narrative, the act of storytelling, and the creation of atmosphere. I pull imagery from numerous places, although digging through memory allows me to have a deeper connection with each piece. I think back and I try to conjure imagery that has stuck with me throughout my life. Whether it’s religious iconography in the homes of my Catholic family, memories of travel, or even memories that seem mundane, I try to use anything that keeps coming back to me. Through following this I began this group of works. The result of this process are paintings that have forced me to slow down and that also became a way of processing thought and memory. I paint while reflecting on myself and questioning what it is that bothers me or fascinates me. In the end, I feel that my paintings are about being able to understand myself and my way of thinking a bit more. The Southern Conservative digital collection is now available in the UH Digital Library. The Southern Conservative (“to plead for a return of Constitutional Government”) was a right-wing newspaper published from 1950 to 1962. The publication was edited and owned by Ida Darden of Fort Worth, Texas, and financed largely by such Texas oilmen as George W. Armstrong and Arch Rowan. It targeted perceived Communist and Socialist influences in government. The original materials were loaned by the Houston Metropolitan Research Center for digitization. They are available in the Ida M. Darden Collection. The Provost Summer Read program is built around a common book that is provided to and read by first year University of Houston students over the summer. Now in its fifth year, the program develops a meaningful dialogue between faculty and students in and out of the classroom. Lisa German, dean of UH Libraries and Elizabeth D. Rockwell Chair, is offering parents and guardians of new Coogs a chance to take part in the Provost Summer Read program. 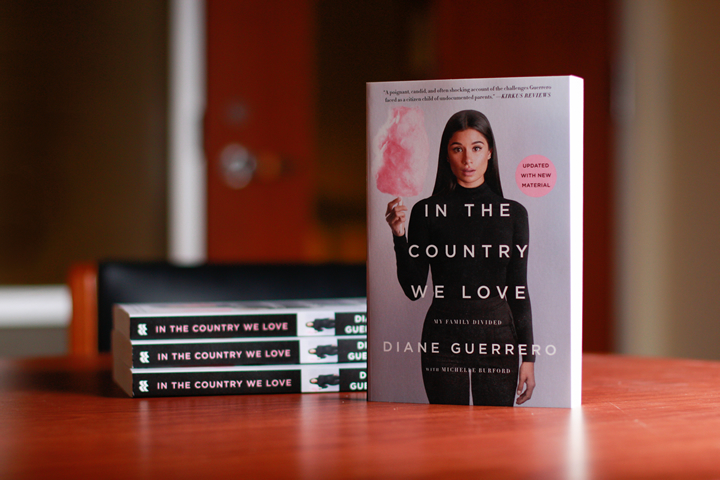 Copies of this year’s selected book, In the Country We Love by Diane Guerrero, are being raffled at admissions and orientation events all summer. The summer 2018 semester is upon us, and the University of Houston Libraries has the resources and services you need for success in academics and research. Our Top 10 Things to Do at UH Libraries – Summer Edition is a quick guide to get you started on a great semester. Stuck on a research project? Need writing or presentation advice? Contact your friendly and knowledgeable subject librarian for personalized research help. Subject librarians are the ultimate search engine! 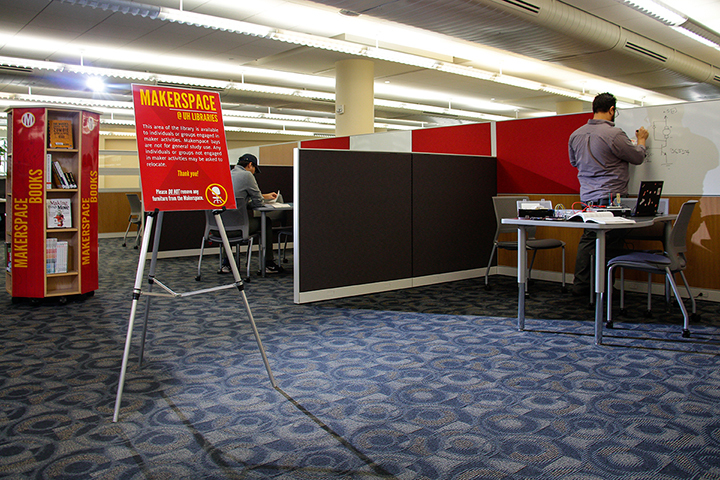 In addition to workspace, the Libraries has areas for you to recharge between classes. Visit the Leisure Reading collection, located on the first floor of MD Anderson Library, and relax with a variety of newer titles in fiction and nonfiction, audiobooks, magazines, and more. Browse the collection online. 5. Dive into a database (or two). Did you know that UH Libraries provides access to over 500 research databases? These databases are available for free to all UH students, staff and faculty. Use of databases can improve the quality of your papers and save you time. Popular databases include Academic Search Complete, JSTOR, and PubMed. BONUS: Off-campus access to this and other electronic resources, including e-books, journal articles, and audio files, is available with your CougarNet log-in. UH Libraries comprises not only the MD Anderson Library, but also three branch libraries: the Architecture and Art Library, the Music Library and the Health Sciences Library. You’ll find more subject experts and specialized collections at these locations. Open to all, Special Collections organizes, preserves and promotes rare archival items, including books, manuscripts, photographs and other ephemera. Find unique materials in the Hispanic Research Collection, Houston & Texas History Research Collection, Energy & Sustainability Research Collection, and more, made available for access in the Special Collections Reading Room. DOUBLE BONUS: Browse the UH Digital Library for access to rare historical and contemporary items in digital format.